"We wanted to find that new and expressive way of communicating," Yahoo senior vice president Adam Cahan said at a New York media event for the app called Livetext. Cahan said the Yahoo team chose to focus on video without audio to encourage people to use the app in a variety of situations. "We wanted to make sure there is no inhibition of answering or connecting," he said. With audio, he said, Yahoo found that in many situations, people "are not willing to engage." At the event, product manager Arjun Sethi demonstrated "conversations" over smartphone connections that showed live facial expressions accompanied by text and emoticons. "We see video as a way to make your conversations more authentic, and we see text as a way to connect that's quick and non-intrusive," Sethi said. The application is being made available for Apple and Android devices starting Thursday in the United States, Britain, Canada, Germany and France. 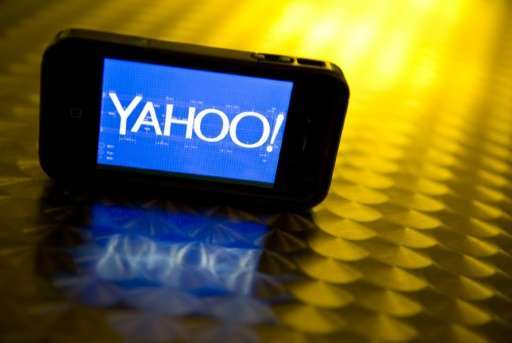 The move comes with Yahoo aiming to refocus its business on mobile and video after losing leadership in Web search. The tech industry already has a number of messaging apps ranging from Facebook-owned WhatsApp to Snapchat, which features disappearing video messages. "We wanted to create a new way to communicate, blending the simplicity of texting with the emotion and immediacy of live video, to make your experience spontaneous and real."